Our GYMSMART Homeschool Program ensures your child will continue learning and look forward to the best part of their week – GYMDAY! 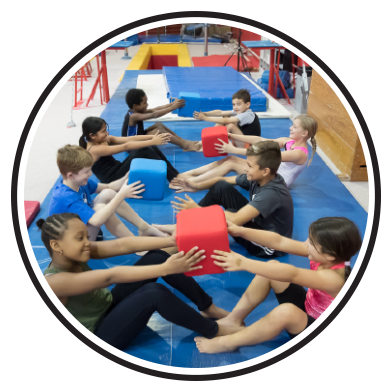 In this program, kids will develop great cognitive, gross motor, social, physical and gymnastics skills and improve their fitness level at the same time! 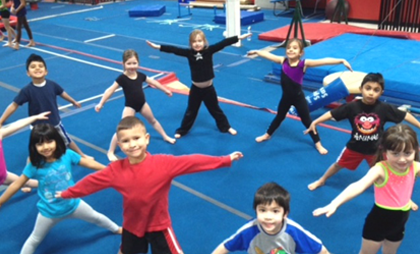 It is a proven fact that gymnastics helps children do better in school, even home school! Why? When children repeatedly go upside down, it contributes to vestibular brain growth, the part of the brain associated with reading and comprehension! That is in addition to another well known truth: healthy body = healthy mind! The Gym Jungle Level System (4-5yrs) and the CANGYM Level System (6+yrs), used across Canada, form the basis of these non-competitive gymnastics curriculum. Gymnasts will learn skills on Olympic equipment, men’s or women’s events and also trampoline. Evaluations are done 3x per year while gymnasts work at their own pace, according to their level of ability. Trampoline and tumbling activities are included, however, testing is conducted only in gymnastics.